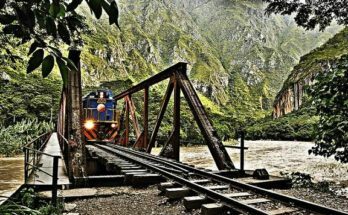 Peru’s utter beauty is reflected in the country’s magnificent and mysterious great outdoors. Among all of Peru’s much appreciated landscapes, the Canyon of the Colca stands out by being one of the worlds deepest canyon at a depth of 3260m which dwarfs the US’s Grand Canyon by double. 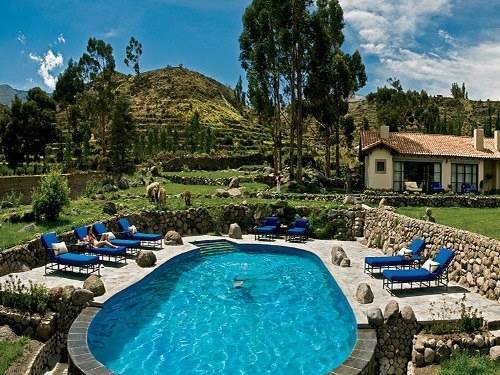 If you would like to spend some time relaxing in this incredible Arequipian land found eighteen hours from Lima, then check-into Las Casitas del Colca which is a neighborhood-style hotel in the heart of the Canyon. The hotel has been considered one of the best ecological hospices in the world. Las Casitas del Colca are owned by the international hotel chain Orient-Express. The hotel was built in a neighborhood style with each “room” being one of twenty buildings. Each house has a stone floor with central heating bellow the structure. The area itself has a terrace that over looks the Colca’s Canyon. Also, a tempered pool is available for guests to relax after a long excursion into the canyon. Yes, the hotel offers trips into the marveling canyon! Complete with mini-bar, a safe, phone, wi-fi, blow dryer, and the essential fire alarm, the homes are divided by foyer containing the bedroom and living area. Beyond the foyers of the homes, there are bathrooms complete with showers. Another exciting and attractive attribute of the Colca’s Homes is its Spa Samay, which is Quenchuan for rest. At the spa, a sauna stands out as the friendly main attraction, but not to go unnoticed, there are also two small rooms, a double, and an exclusive suite with a pool all to fully experience the luxury of comfort. In Spa Samay, you can also find some of the most delicious and traditional Arequipian cuisine. Some of the platters guest enjoy are the stuffed red peppers Rocoto Rellenos, La Ocopa which is a potato and egg dish smothered with a cream based gravy, the Peruvian Shrimp soup known as El Chupe de Camarones, the fresh cheese salad El Solterito de Queso, and a local favorite spicy dish known as El Picante de Cuy. Additionally, Las Casitas, a restaurant nearby, offers fusion style platters like the el Carpaccio de Alpaca (a raw alpaca dish served with a sauce) and el Locro de Camarones (a corn based shrimp stew). The best part? All of the vegetables are grown and harvested by the hotel, and the hotel raises all of its game on the hotel’s farm. 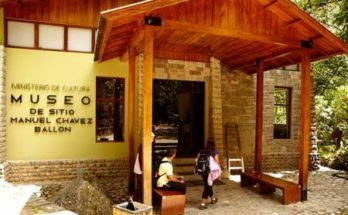 To stay in Las Casitas del Colca (Parque Curiña s/n Yanque, Arequipa), you can contact a tourist agency that specializes in trips into Arequipa like AC Tours. 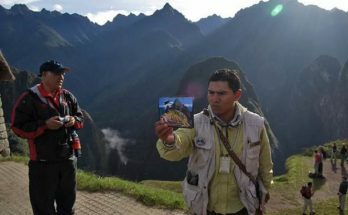 AC Tours arranges stays in Las Casitas de Colca hotel starting from two days and one night along with transportation to and from Arequipa and the Colca Valley.